In today’s competitive social and business environment, looking young, fresh and relaxed has almost become imperative. Anti-Wrinkle Injections for the treatment of facial wrinkles has become one of the most popular aesthetic procedures performed these days. Because it offers dramatic results with minimal discomfort. Because the treatment is easy, safe, quick, effective and affordable. 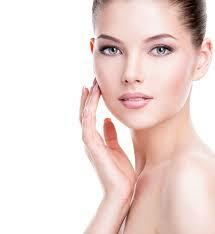 Facial wrinkles are a sign of aging and start appearing in our early thirties. We can now eliminate these early signs of aging by injecting a tiny amount of a safe and effective muscle-relaxing agent into the tiny facial muscles that by repeated contraction cause facial wrinkles. Once the muscle is relaxed you cannot contract to make undesirable expressions, the skin remains smooth and unwrinkled and new creases are prevented from forming. The medication is delivered very precisely into the area of concern and does not travel to other sites of the body. How long does Anti-Wrinkle last? The results start being visible in 2-3 days but full effect takes up to one week. 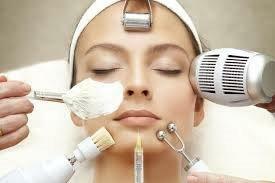 The effect lasts 4-6 months and when it wears off the face returns to its pre-treatment appearance. With repeat treatment, the effect lasts longer and less frequent treatment is required. crows feet and smile lines around the eyes. They can also be used to lift the eyebrow and open up eye for a more youthful appearance. The injections are equally effective for both men and women. It only takes 10 minutes to have it done, and you can return to normal activities immediately. You can even do it during your lunch break. The pain is minimal, but ice and topical anaesthetic creams can be used, although generally this is not necessary. There have been no permanent side effects reported. The injections are not recommended during pregnancy or breast feeding and are contraindicated for patients with rare neuromuscular conditions such as myasthenia gravis and Eaton-Lambert Syndrome. Ensure the doctor is aware of any medication, herbs, or vitamins you are taking. localised pain, tenderness, or small bruising at the point of injection. heavy eyelid lasting 1-4 weeks which can be treated. mild nausea, headache, or flu like symptoms. The cost depends on the amount of agent required for the treatment. For a personalised consultation to discuss solutions to achieve excellent health and looks, call us today on 92333399 to book an appointment.